Okay, this list may be a misnomer. 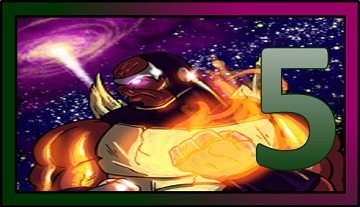 I guess I should call it the Top 5 Worst Sentinels of the Multiverse Villains or the Top 5 Sentinels of the Multiverse Villains not to play on your first game. 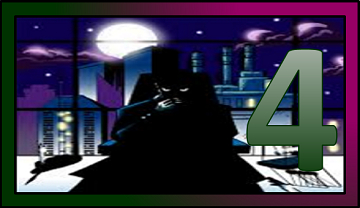 These are the baddies that you don’t want to stumble upon in a dark alley, and unlike our Top 5 Sentinels of the Multiverse Heroes list, we’ll allow for more than one villain from a single expansion, so let’s see which expansion has the nastiest villains. A couple of notes, I didn’t include any villains from the Vengeance expansion as they have to be played together to function properly and I just opened my copy of Wraith of the Cosmos, so I haven’t had a chance to play those nefarious villains. But with no further ado, here we go. It’s not as if you’d want more than three of Voss’s minions in play, but it stinks when you automatically lose the game if he gets 10 of them on the table. That makes one tough Sentinel’s villain. 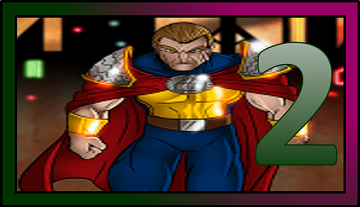 The Chairman comes from The Sentinels of the Multiverse’s first expansion, Rook City, and is actually two villains in one—or maybe more than two villains. As a result, I had a difficult time placing The Chairman. He’s not particularly hard or complicated, but you have to defeat The Operative before you can deal any damage to him. Underbosses and henchmen make matters worse and they can distract you from dealing any damage to The Operative which in turn, drives you nutty as you enter a cycle of taking a licking, drawing more henchmen and underbosses, and failing to deal any damage to The Chairman himself. With The Chairman, you’re not facing a villain as much as you’re taking on The Organization. I’m thinking this won’t be the last time we’ll see a villain team on this list. Oh, look what we have here: another villain team. 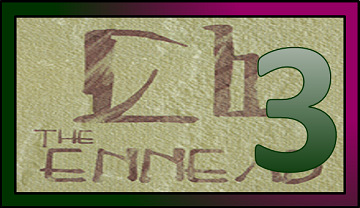 The Ennead blazed onto the Sentinels of the Multiverse scene with the second expansion, Infernal Relics, and we’ve been cursing Greater Than Games ever since. Sorry, guys. We love you. The Ennead plays like a hydra and good luck with chopping off enough of the hydra’s heads. Even when you do take down one of the ten villains, they grant powers to their teammates, so they can hurt you from the beyond. Not to worry. We gave you a sequence with which to defeat these baddies in our Guide to the Sentinels (here’s a link), so you can improve your chances of beating these Egyptian gods but just because you have a blueprint, doesn’t mean you’ll beat these guys. Did I mention that there’s ten of them? Ten! I don’t even know where to start with Iron Legacy. He’s tough. He comes from the third expansion, Shattered Timelines, and can take out a team of heroes in ten minutes or less. Seriously, I ordered a pizza before we started playing against him and we got our butts handed to us twice before the delivery guy showed up, but the key to defeating him might be the opposite of The Ennead (at three on our list). You may want to enlist heroes for their incapacitated (knocked-out) side, so you’ll gain the abilities they give their teammates. Maybe, just maybe, you’ll stay alive long enough to deal some damage, but under no circumstance do you want to play as any of Iron Legacy’s nemeses. Tachyon, Absolute Zero, Tempest, The Wraith, Unity, and Bunker receive additional damage with each of Iron Legacy’s deadly attacks. On the positive side, you could play those heroes and finish five games before the pizza got to your house. You’re probably wondering which villain could possibly top Iron Legacy and believe me, there is one. Rook City was filled with hero hate. The environments were brutal, the heroes weren’t as supercharged, and the villains kicked some tail. 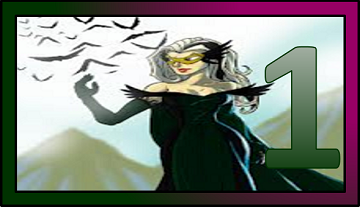 The Chairman (The Organization) already made our list at the four spot, but The Matriarch sits atop her perch as our number one Sentinels of the Multiverse villain. She plays her entire deck in two to three turns. No fooling. She literally plays her entire deck in two or three turns—sometimes in a single turn. With that many cards on the table, The Matriarch chokes the battlefield, making it almost impossible to beat her. Furthermore, she has abilities that negate the awesome abilities of even the most daring global hero effect. I don’t know how it’s possible, but The Matriarch hasn’t gotten much easier with future releases: she was introduced in the first expansion. We mentioned a potential way to defeat her in our Matriarch Spotlight, but defeating her usually comes down to dumb luck.